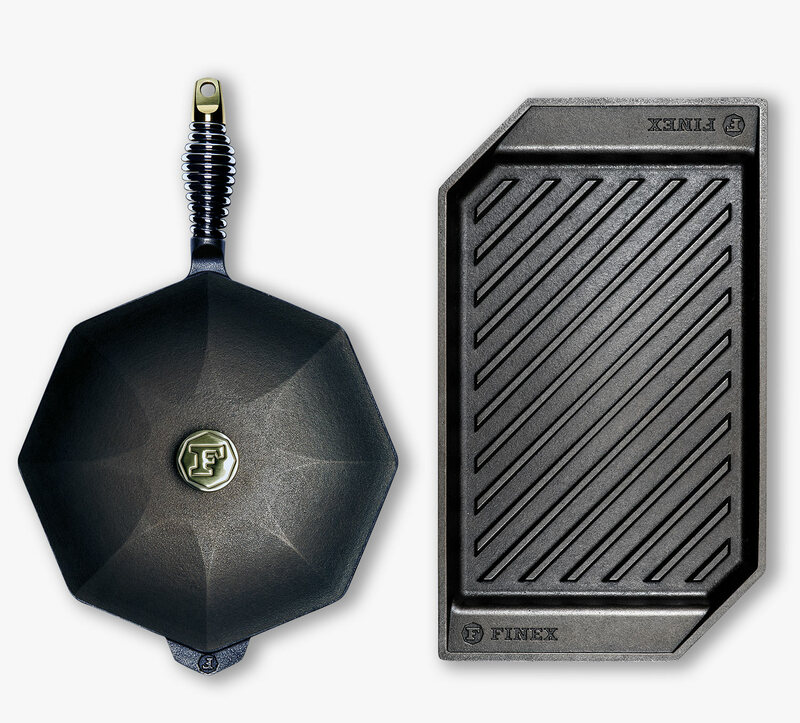 FINEX Lean Grill & Sear Set | FINEX Cast Iron Cookware Co.
Our most popular piece, the 12” Skillet with Lid makes the most of our design DNA and attention to detail, delivering incredible cooking performance and eye catching design that’ll keep it on your stovetop for good. And, thanks to its heavy gauge grill ribs and domed, draining interior surface, our Lean Grill Pan brings honest, healthy grilling to any heat source. Get two of our most versatile pieces for great grilling and searing results, indoors or out, at an incredible price.